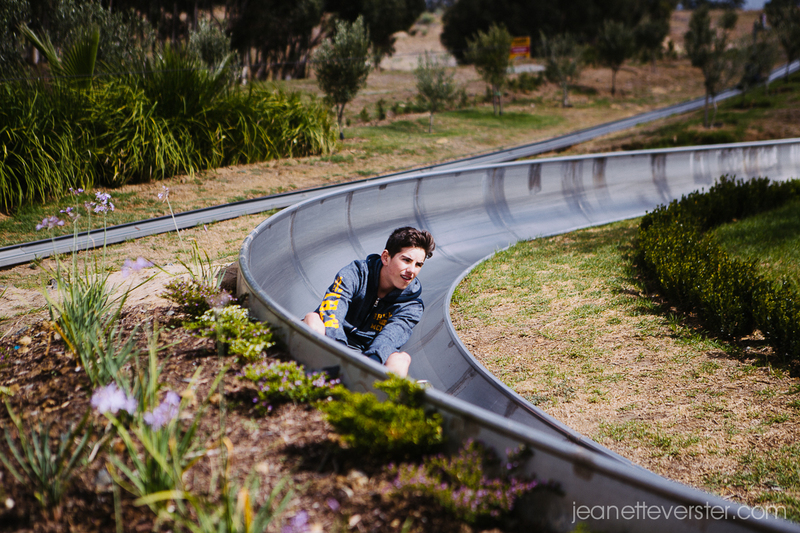 On a windy day, after we’d spent a few days at wine farms, there was a little bit of guilt about not having done much kid stuff on the holiday, so we took the kids tobogganing! 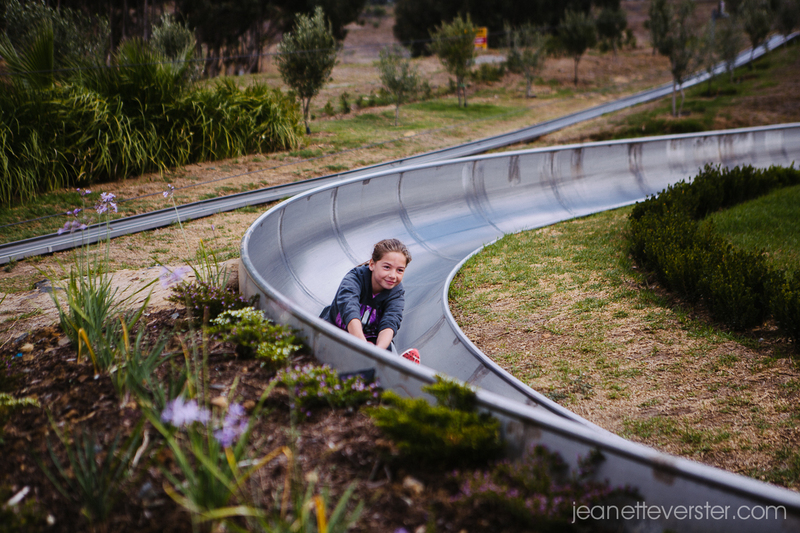 Cool Runnings is a toboggan park in Tygervalley, and has a stainless steel track that’s 1.2km long meandering down a hillside. It’s an awesome day out! We got the family ticket, because it made sense to buy 20 rides for the 4 of us for R400 instead of the smaller individual packages that are available. 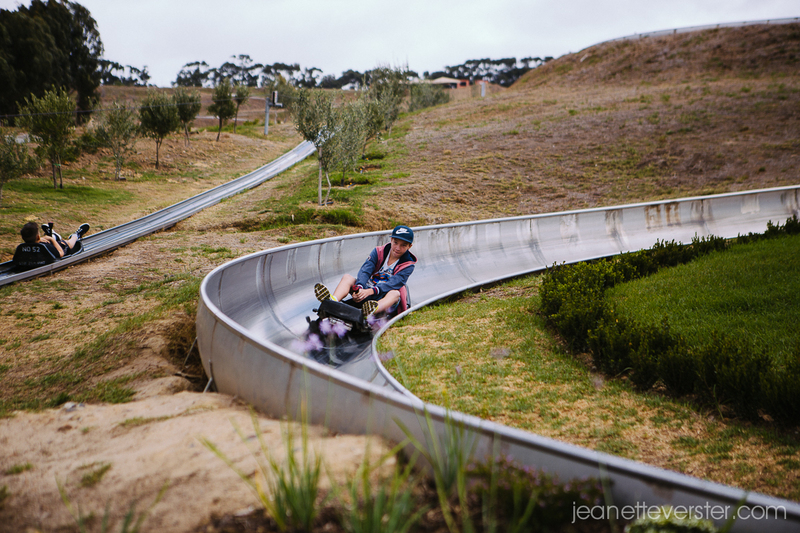 The way it works, is you get onto a sled, and it gets pulled up the hill on a pully system. 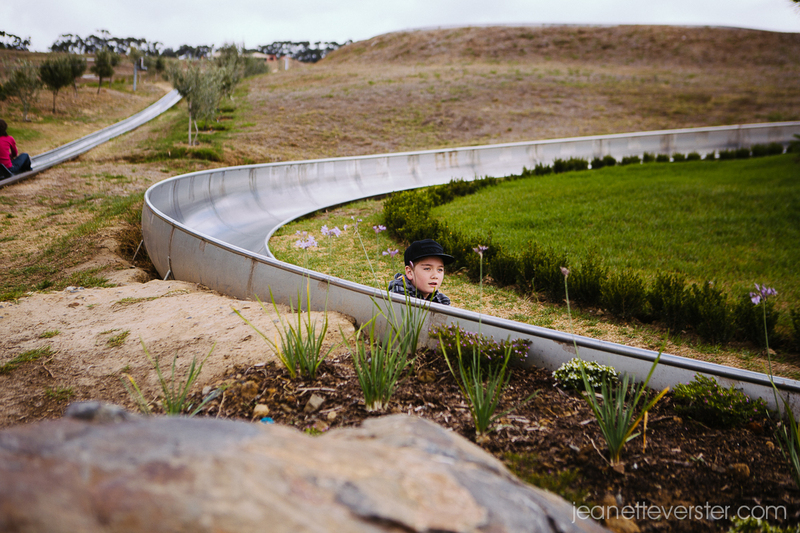 At the top, there’s a marshall that times your release so that you are too close to the person in front of you… and then you go whizzing down the hill. You control your speed with the stick, and it has a braking system on it. Saying that though, you can apparently reach speeds of up to 40km/h! Although, when I went down it, the marshalls eventually told me to go faster 🙂 LOL! My only complaint 😉 which is a bit of a cheeky one, is that there’s no way for a spectator to go up the track to take photos… you’re stuck on the deck watching from afar. Other than that, it’s a brilliant day out with kids (or not with kids actually). The kiosk area was awesome… food was amazing and the coffee was good and hot. Hot coffee was a must that day because the wind was icy! I did take a video of everyone coming down. It’s on Instagram, and for some reason I can’t get it to show there!